With the highly competitive marketplace, businesses find themselves looking for tools that increase profitability, such as vehicle tracking systems for fleet management have become essential for modern businesses. Vehicle tracking allows organisations to monitor fleet performance online and improve the road safety of their vehicles while also seeing significant and long-term savings for their business. No matter what your business, if you’re delivering a product to a client, it is in your best interest to get that product to the client as quickly as possible. Smarter route planning can significantly decrease journey times. Optimising your routes using vehicle tracking software means seeing real-time in-depth reports on journeys along with an analysis of previous journeys. All of this data allows a manager to plan routes based on locations of vehicles at specific times, reducing the time taken to reach customers and improve scheduling for deliveries. Reduced delivery times also allows more deliveries to be made in a week, improving the cost efficiency of your business. It can help your reputation and customer experience as well as it shows you can deliver on time with accurately predicted delivery time. More than any other time, when out on the road, your drivers represent your business. As such the quality of their driving is crucially important, not only for your business success but the safety of other road users. Irresponsible driving wastes fuel, as well as increases, wear of the vehicle, therefore inflating the replacement cost of parts such as tyres and brake pads. Vehicle tracking can be used to monitor driving behaviour and thus identify drivers with poor driving practices. This information can help a business retrain those who consistently demonstrate bad habits. Furthermore, good driving merits can also be identified, and those drivers can be rewarded for their excellent work. In many cases, drivers merely knowing their vehicles have been equipped with systems to track their driving can improve behaviour on the roads. What is important however is that your team understands the objectives and benefits of the system to prevent any feelings of anger or distrust towards managers and the policy in general. Businesses can also access smart technology like in-cab coaching. Poor driving behaviour will be highlighted with instant audible and visual feedback to the driver, allowing them to independently self-correct their driving while out on the road. Fleet managers have access to this information and can monitor driving remotely to better understand any training needed for the driver in the future. In order to reduce costs, certain vehicle tracking systems allow the driver to talk directly to an insurance claims handler in the event of a collision on the road. A report detailing the strength of the collision and the current position of the vehicle can also be generated quickly. This can be a huge benefit to businesses as the longer an incident takes to be reported, the higher the cost of the claim. 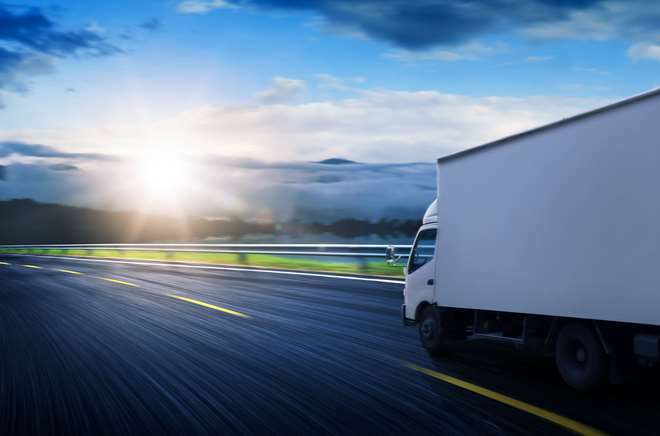 Moving forward with your insurance provider, a vehicle tracking system can allow your business to set benchmarks for road safety and show improvements over a period of time. This allows for evidence supported negotiations with your provider about better premiums.